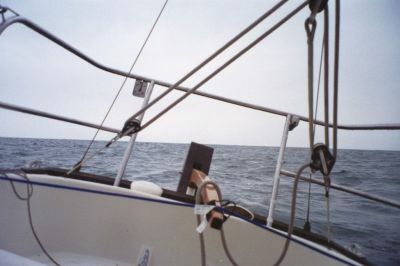 When sailing with only the head sail and on a close haul, I could use bungie cords to steer the boat. The problem here, I has not tied to a jackline, as the boat is not set up for yet. Next spring that is one of my many projects!